Anushka Sharma could not help but get all romantic on Instagram as her hubby Virat Kohli achieved a brilliant milestone yesterday. She captioned the pics with her trademark comment: What A Man with a heart emoji. 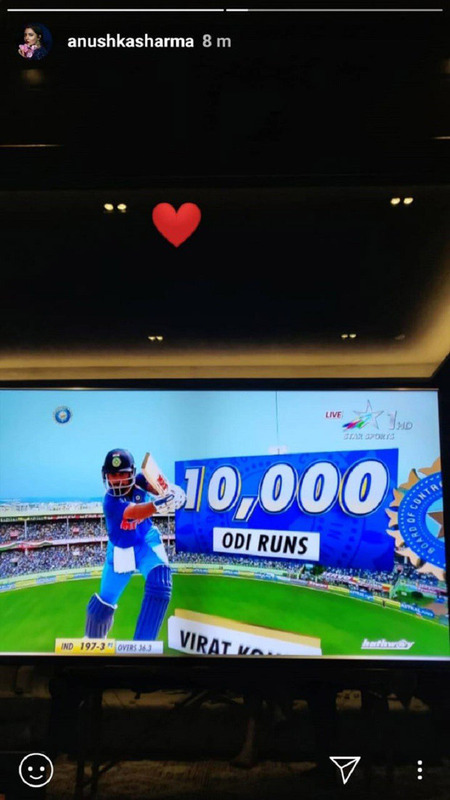 Overjoyed, she took to Insta as Virat completed 10,000 runs ODI and smashed Sachin Tendulkar’s record. 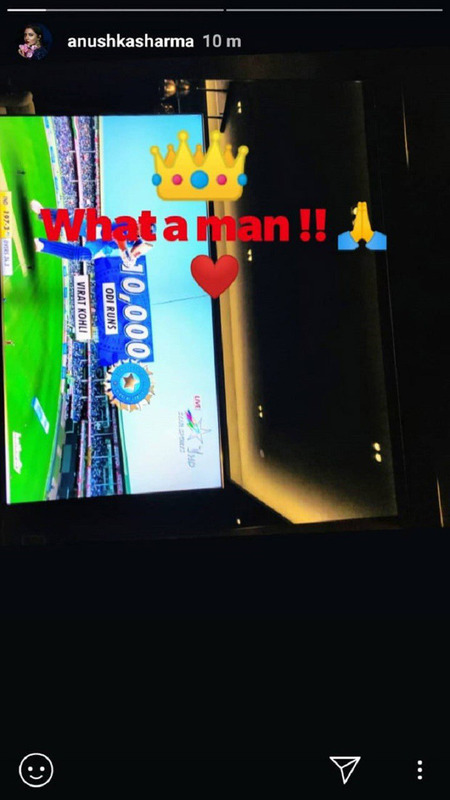 Everyone from the cricketing world shared his pics including Sehwag but it was Anushka who made sure she caught this landmark moment on her screen. Check out her posts and you will know what we are saying. For those who don’t know, this was Virat’s 37th ODI century, after Sachin Tendulkar’s record of 49 ODI tons. Virat has now become the fastest cricketer by scoring 10,000 runs in mere 205 innings. Sachin has scored 10,000 ODI runs in 259 innings. Not just another trophy wife, Anushka not only is Virat’s cheerleader but also has carved a niche for herself in her own field. Her last movie Sui Dhaaga did very well at the box office and her performance was appreciated a lot by masses and critics both. She will be seen next in Shah Rukh Khan’s Zero with Katrina Kaif, her Jab Tak Hain Jaan co-star. R Madhavan and Abhay Deol are also playing important part in this film. It is one of the most awaited movies of this year.